Are you a frequent trader struggling to make profits? Moreover, brokerage charges are also eating away your considerable profits. You need to think now to lower the brokerage charges of your trade and maximize the profit. The renowned banks offer 3 in 1 account which has high brokerage charges. The full service brokers are also offering the trading account which has high brokerage charges. Your searchings for best demat account with lowest brokerage in India ends here. Here comes another type of brokers called discount broker which offers low brokerage charges. Sometimes they charge a flat fee irrespective of trading volume or sometimes even free.Now we will discover which the best Demat account with lowest brokerage charges is. What is their Annual Maintenance Charges and Account opening charges etc.If you are new to the stock investment and wondering where to start I would recommend you to read the Best stock market books for beginners. Zerodha is the most popular discount brokerage firm in India. It has now 8 lakh+ accounts and the number is increasing very fast. 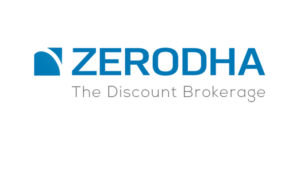 Zerodha offers free brokerage for delivery transactions. It charges very minimum for intraday trades also. Zerodha offers Rs 20 per trade or 0.01% whichever is less as brokerage charges for intraday trades. If you want trading in futures and options this may be a good option for you. Zerodha offers 0.01% or Rs 20/ Executed order whichever is lower for Future trading and flat Rs 20 per executed order for options. The other charges are applicable based on BSE, NSE, SEBI and government charges. Zerodha has Demat account opening and maintenance charges as Rs 300 per year. It has great online education portal in the name of Zerodha Varsity covering options trading, fundamental and technical analysis. Zerodha has 900+ strong, multilingual support team to answer all your queries over phone and e mail. Zerodha offers trading platforms through Web, App, desktop etc. I have used their KITE (Web based and APP) platform which stops working sometimes. You may have restrictions to log in. If you are an active trader watching the live prices and waiting for the right price may not execute the trade in time and has to incur loss because of its technical problem. Here, my suggestion is for you to go with a brokerage firm which have excellent trading platform without any bug. You may have to spare a few bucks more as brokerage but you will not miss any trade. You can look at the article Best Demat and Trading Account to choose the best account for you. If you are not an active trader and want to minimize the brokerage can continue with this list of discount brokers. Prostocks is another discount brokerage firm which offers very less brokerage fee to customers. It has 3 platforms, ProStocks Web, Mobile and Dektop version. You can see good technical charts and live quotes of different stocks. There is no charge for Demat and Trading account as opening fee and AMC. ProStocks offers 3 plans from which you can chose according to your requirement. It also offers call and trade facility with a fee of Rs 10 per executed order. The account can be opened completely online with your AADHAAR numbers, no need of print and sign. They also have separate service to guide the first time stock market investor. 5 Paisa is the fastest growing discount broker in India. It is backed by leading financial service company-IIFL. It has three trading platforms through mobile, web and desktop. You can manage your account, watchlist and trade. Also, you can invest in mutual funds also through the all in one trading account in excess to the equity, derivatives and currency. You may also open an account for mutual funds only. 5 Paisa offers various plans for different stock traders and investors. The most popular plan of 5 Paisa is Rs 10 flat per trade. 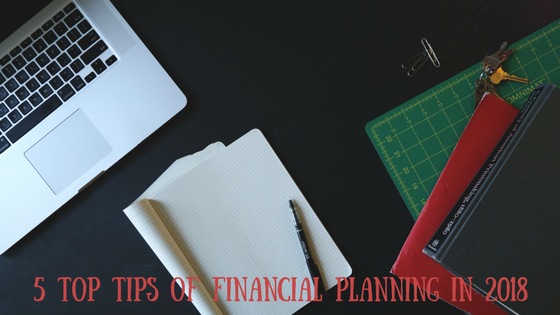 This is also applicable for futures and options which is the lowest among the discount brokerage firms. They also charge Rs 500 as Account opening fee and Rs 400 +GST as Demat account maintenance charges. You also have the margin trading facility in the 5 Paisa Trading account. If you want to become an active trader and trade with margins an Upstox trading account is ideal for you. You can get 15x to 25x margin in cash segment depending on the account type and type of orders. It has good trading platform, Pro Web, Pro mobile. You can also create your own with upstox developer option. You can invest in mutual funds also through this account. Like other discount brokerage firms Upstox also offers zero brokerage on delivery and Rs 20 or 0.01% of which is lower on traded value for intraday. You will have flat Rs 20 as charge for per order for option trading. Upstox has call and trade facility via phone for Rs 20+GST per order placed. Upstox has account opening charge of Rs 150 and Demat account maintenance charge of Rs 150 per year. Tradesmart is ideal for the traders who loves to trade in small volumes. Maximum brokerage houses have minimum brokerage charges for a trade. It offers less than 1 paisa brokerage along with high intraday exposure. It offers a plan to charge 0.007% as brokerage for intraday trading. You can also take the benefit of flat fee of Rs 15 per executed order for less frequent trader with large volumes. The Demat account opening and maintenance charges of the account is Rs 300. Tradesmart offers 4x exposure for equity delivery. Also you can get margin against shares on Demat account. It offers three types of trading platforms all across desktop, web and app. It has all advanced tools, charts and indicators available in the trading account. If you are missing information during trading and lose money the Samco securities account is for you. You can use stocknote app from Samco securities which is built on Artificial Intelligence and advanced analytics that simplifies information of stock market to you. All significant notifications which are relevant to your portfolio and watchlist is delivered as push notifications and available to your stocknote inbox. Also you can set trigger alerts with this app for your trading. 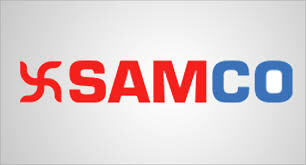 Samco is naming this as Giga trading. You can trade at Rs 20 per order across all segments and irrespective of order size. The margin facility is available with this Samco trading account. You can get as high as 80 times of margin for trading. It has desktop, browser and smartphone platform for trading. There is no demat account opening charges and Rs 400 is for AMC of Demat account. You can also pledge shares and make intraday trades which mean you don’t need to maintain cash balance in the trading account. The Samco securities is claiming that their hardware infrastructure ensure 99.99% uptime and connected with markets. Hence, you will not face any problem like other trading account. Fyers is offering zero brokerage for equity delivery and zero brokerage across all segments if you win 30 day challenge. It offer a very good platform for seamless trading experience. It has 3 trading platforms with web, desktop and app. You can also invest in a basket of stocks which is designed based on specific ideas. You can get up to 100x leverage in F&O and 30x leverage in intraday equities trading. The heat maps, support & resistances, trend scanners, option chain, F&O analysis etc. in the trading platform will help your stock analysis stronger and precise. You will have to pay Demat annual maintenance charge as Rs 400+GST. Equity intraday and future trading charge is Rs 20 per executed order or 0.01% whichever is lower. Option trading is charged as Rs 20 per executed order. Trading Bells is another discount brokerage firm which offers non cash limits for trading, margin for futures, margin shortfall and loan against shares for your cash needs at attractive rates. You can get up to 22x limits for intraday and 7x limits on F&O trades. The Demat and trading account opening charges is Rs 400 for equity and Rs 200 for commodity. Trading Bells offers Demat annual maintenance charge as free. Equity delivery charges are free and intraday charge is the minimum of RS 20 or 0.01% of traded value. A flat fee of Rs 20 is charged for per executed order of options. Trading Bells has unique feature of IPO application. You can apply for IPO through Trading Bells account by availing fund from NBFC. This enables you to apply for IPO even if you don’t have any cash. Moreover you can sell the allotted shares without any brokerage fee. 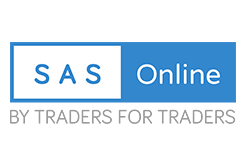 SAS Online offers superior trading experience with its powerful trading platform ALPHA. ALPHA is a good trading platform which offers a beautiful combination of speed, quality and ease of use. It has desktop, web and mobile based version. SAS online charge flat fee of Rs 9 per executed order regardless of size of trading. It charge for intraday as well as delivery but the fees are less for both the cases. You have to pay 0.01% or Rs 9 whichever is lower for intraday trading and 0.1% or Rs 9 whichever is lower for delivery trading.You can also select monthly plans for Rs 999 per month for trading in equity and MCX. Enjoy up to 20x leverage in equity cash and 5x leverage on NFO & MCX. Apart from leverage and trading platforms it has dependable support team to support you on real time basis. Tradejini is the discount brokerage firm with simple brokerage plan. It charges a maximum of RS 20 per order irrespective of the size across all segments, equity, commodity, currency, options etc. It offers single integrated trading platform for equities, derivatives, commodities and forex. These platforms can generate real time intraday charts and it is also equipped with various technical tools and indicators. You can also set alerts in the trading platform. Tradejini offers world class customer support via phone, email and chat. The Jiniversity tutorials are a gold mine of knowledge for beginners. Wisdom capital is offering different exciting plans to its prospective customers. It is offering Freedom plan which has free Demat and trading account with no AMC. You will not be charged for any trading through internet for equity, F&O, MCX etc. There are neither prepaid nor advance fees being charged nor is monthly or any kind of lifetime charges being charged. Wisdom Capital has Pro plan in which they charge a flat fee of Rs 9 per trade. You can have 33 times of cash margin for intraday trading. It offers the single trading terminal NEST with advance features such as data feed and alpha trading system with pro plans. You can also take advantage of its semiautomatic algo trading system which is ideal for active traders and positional traders. The only disadvantage is that the Demat account maintenance charge is Rs 999 per year which is quite high. There is no trading account maintenance charge. Here I have shortlisted best Demat and Trading account with lowest brokerage. Zerodha has the highest customer base in India but I am not very happy with their trading platforms. I want to come out from Zerodha which offers me glitch free trading platforms. The Upstox has pretty good trading platform and good margin facility. The Wisdom capital’s offering of free Demat and Trading account also sounds great in my opinion it is the best demat account for beginners cost wise. Personally, I am not an active trader and fond of value investing or long term investing. You don’t need to worry for the brokerage charges for that as your buying and selling frequency is very low. In that case, you can open a Demat account from a renowned full brokerage house which you can trust. Also, you can select from the list of Best Demat and Trading account for Small investors. Share the article with others and help them to choose Best Demat account with lowest brokerage.